In Rye, across from the pier, there are a couple of ice-cream stores ready to fulfil your sweet desires. 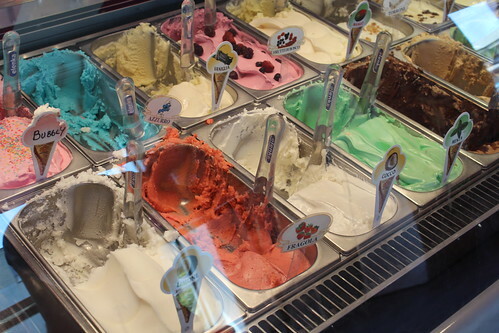 Cold Rock Ice-Creamery is one of the notable stores, but appears Vulcano Gelato has won the hearts (and mouths) of many visitors and locals alike. 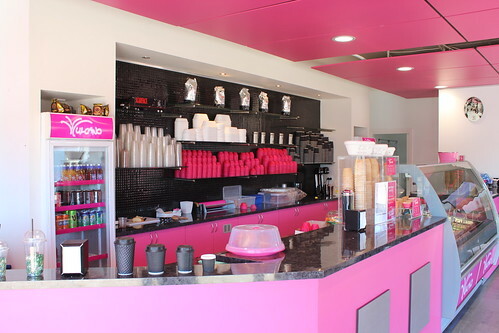 You can see droves of people entering this very pink store but when looking in the other ice-cream stores, they are almost bare. I’ve taken some pics of the range of flavours below. Take a look! 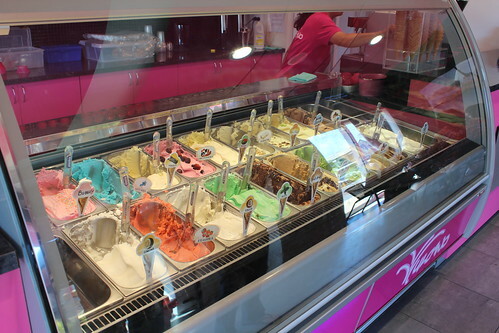 Vulcano Gelato serves a great variety of gelato and ice-cream flavours, most are your standard flavours you’ll find amongst most gelato stores. In this picture, you can see their own flavour, aptly called Vulcano. I didn’t get a chance to try it but it appears to be a choc full and looks likes devilishly rich. 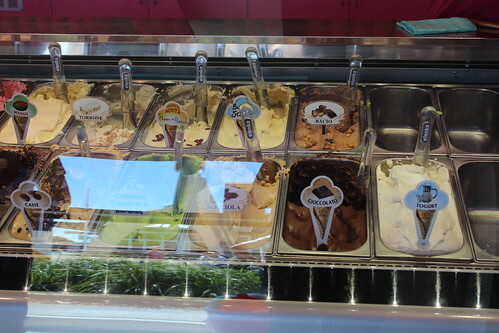 As you can see there are your nice chocolate flavours, yogurt, mango, coffee etc. I tried their Hazelnut and Pistachio flavours, being a nut flavoured ice-cream fan myself. Their Hazelnut one was quite nice, it definitely reminds me of Ferroro Rocher flavours like you’ll find in Il Dolce Freddo in Carlton. To be honest it was nice, but really nothing too special about it. 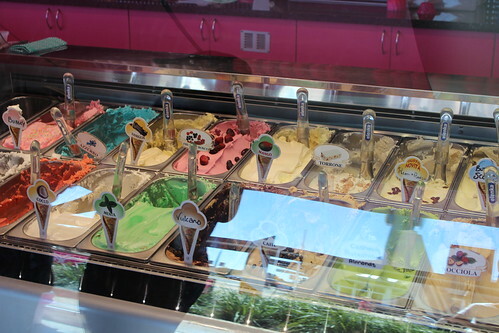 I’ve read reviews of Vulcano Gelato and it definitely is a favourite for most. Maybe I chose the wrong flavours. I’ll definitely give it another try if I’m ever in Rye again. Of course, any ice-cream is fantastic in a warm day. 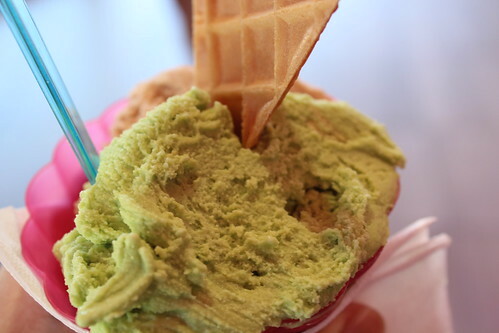 Well, even in cold weather gelato works a treat to brighten any day!